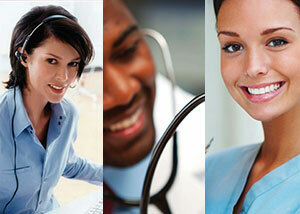 THE MOST COMPLETE LINE OF DIGITAL DICTATION SOFTWARE APPLICATIONS TO MEET THE NEEDS OF MANAGING HEALTHCARE. Fusion Voice® and Atom Dictation™ – advanced dictation and transcription platform with various dictation inputs and proper transcription with full foot pedal support, route groups for management and optional document management services. Fusion Voice also can integrate with your PACs or RIS systems to make the chore of dictation easier. 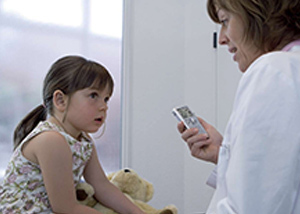 Integrate Fusion Voice with Fusion Speech® or Fusion Expert® for superior back-end or front-end medical speech recognition. The Fusion Voice and Atom Dictation systems offer advanced scripting capabilities for perfect use in healthcare, insurance, public safety and other industries. Fusion Text® working standalone or side-by-side with Fusion Voice, provides all the crucial components essential for every healthcare document management system. As the industry leader for features and customer satisfaction, it’s easy to extend in-house functionality to remote workers with ease while maintaining control. Manage reports from dictation to signature, distribution to final document archival. Fusion Speech, Fusion Expert and Fusion SpeechEMR® products are fully integrated with Fusion Voice to provide you with back-end speech, front-end speech and speech directly into your EMR without interfaces. Dolbey’s Speech Recognition solutions have been awarded Best in KLAS in 2012, 2013, 2014, 2015/2016. Fusion CAC™ and Fusion CACe™, with integrated encoder, are the premier products in the computer-assisted coding space. The Fusion Suite of products uniquely uses a single platform for any mode of physician dictation or speech recognition. The Best in KLAS and KLAS Category Leader awards recognize Dolbey’s continued success as a leading healthcare solutions provider based upon the most important yardstick – its satisfied customers. KLAS Research is a healthcare information technology data and insights company providing the industry with accurate, honest and impartial research on the software and services used by providers and payers worldwide. Every year, KLAS collects evaluations from healthcare providers to rank vendors across several categories. This year, Dolbey is honored to announce that KLAS has ranked its software as #1 KLAS Category Leader for Front End Speech Recognition for Imaging and #1 KLAS Category Leader for Computer-Assisted Coding.